One of the loveliest mitzvos of the springtime is Birkas HaIlanos, the blessing on the trees. [The next few paragraphs are excerpted and adapted from the above-linked article]. The Kaf HaChaim [a leading Posek, one who rules on Halachic matters] decided that the Gemara’s use of the word Nisan has Halachic significance. Basing his opinion on the language of the Gemara and in contrast to some other authorities, the Kaf HaChaim rules that the full blessing should be said only if one sees a blooming tree in Nisan. He adds that if one can only find a blooming tree after Nisan is over, the words of the blessing should be recited without mentioning the Divine name. The Birkei Yosef says that according to the “Derech HaEmes [the Kabbalistic tradition], the blessing belongs only in the days of Nisan.” [A possible explanation of this is that] only in those places where there has been a freezing, dark Shvat [a winter month in the Northern Hemisphere] can a person truly appreciate the warmth and light of Nisan. 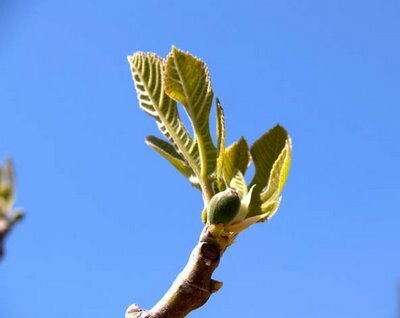 [Thus there is a connection from Tu B’Shvat, the New Year of the Trees, to Chodesh Nisan, the month of the Blessing on the Trees]. The rabbis discuss whether it is significant that the plural form (trees) is used in the Gemara. While the Rambam doesn’t discuss the question directly, in describing the mitzva, he states that one should make a blessing when going out to the fields or gardens, and seeing blossoming trees. The Halachot Ketanot infers from the language of the Rambam that in order to be obligated in the blessing, there must be a “ribui ilanos,” a multitude of trees. The Kaf HaChaim requires that, at a minimum, a person needs to see two trees in order to recite the blessing, but l’chatchila (preferably) it is better to go to a place that has a ribui ilanos. However, other authorities maintain that it is enough to see one tree to make the blessing. It is told of Rabbi Shlomo Zalman Auerbach, zt"l [another late leading Posek], that once a Torah student saw him making the blessing over a flowering tree in a courtyard in his neighborhood of Shaarei Chessed, Yerushalayim. The student went over to the Rav and asked, "On the next street there is a courtyard with two trees that are in bloom. Wouldn't it be proper to be more exact and bless on two trees?" Rav Auerbach pleasantly answered, "I, too, am aware of this opinion mentioned in the sefer Avodat Kodesh. I also know every courtyard and tree in my neighborhood. But look up at this window!! From there the face of a widow, shining with happiness, could be seen. Every year she anticipates this season and pines for the day that I will come bless on this tree in her yard. What is one stringency of the author of Avodat HaKodesh compared to a tear of joy of a widow?!" Few people know the intriguing story behind the niggun, ‘Ilan, Ilan, Bameh Avarechecha,’ which was written by the Pittsburgher Rebbe zy”a, and has become popular the world over. It is a tale of tragedy and hope. It was a joyous day in the home of Reb Binyamin Cohen of Bnei Brak, who was celebrating the bris of his son. Though it was a simple affair, to which a small number of relatives, neighbors and close friends had been invited, the atmosphere at the Boyaner Kloize [Shul] in the Ramat Aharon neighborhood was uplifting and inspiring. Perhaps this was because the Pittsburgher Rebbe zt”l had come from Ashdod to be the baby’s sandak [the one who holds the baby while he has the bris], in view of the fact that the Cohen family was descended from the Nadvorna dynasty, to which the Pittsburgher Rebbe belonged. During the seuda [festive meal] that followed the bris, the Pittsburgher Rebbe suddenly called for everyone's attention. Ilan, ilan, bameh avarechecha – Tree, O tree, how can I bless you? Peirosecha mesukim, tzilcha naeh, amas hamayim overess tachtecha – your fruit is sweet, your shade is pleasant, and a stream flows beneath you. It was the first time that the Rebbe had sung the niggun publicly. He sang it slowly, wanting all those present to catch on. His eyes were closed, and his face was aflame. The Rebbe sang the tune with great emotion, and repeated it again and again, until all the guests were caught up in song. It was electrifying. Every time the niggun began again, it was sung louder and louder, until the room seemed to have been transported to a place of great holiness. Soon, every time the niggun would come to an end, the guests almost shouted the bracha, “May that which is planted from you be just like you.'' At some point, the Rebbe stopped singing, and so did the other guests. The room remained silent for several seconds, with those present not wanting to shatter the rarified mood. The silence was finally broken when Reb Ben Zion Growise, who lived in the Cohens' building, got up and offered a bracha to the Rebbe, saying, “May HaKadosh Baruch Hu [G-d] make it possible for the Rebbe to sing this niggun at this baby's chasuna [wedding].'' The crowd answered with a hearty “Amen!,” but the Rebbe didn't answer. Suddenly, the room was silent again. Less than a year after the bris, Reb Ben Zion was spending the day in Jerusalem. As he entered the crowded beis medrash, he suddenly felt a tap on his shoulder. No, Reb Ben Zion hadn't heard. A few more questions and it became clear: the family of Reb Binyamin Cohen from the third floor – the whole family – had been critically injured in an accident. Reb Ben Zion was in shock. He remembered the look he had gotten from the Pittsburgher Rebbe only a few months before, and the remark he had made about singing that niggun at the baby’s chasuna. No, it can’t be, Reb Ben Zion told himself. The Rebbe had given a bracha, so it couldn’t be as serious as it sounded. Rumors are often exaggerated. Reb Ben Zion made his way back to Bnei Brak to see what the situation really was and whether he could help. But when he arrived home, he learned that it was even worse than he had imagined. Almost the whole family had perished in the accident: the father, Binyamin; the mother, Sarah; the daughter, Zahava; and three of the boys, Shmuel, Yechiel Michel and Itamar. Only the baby, Uri Leib, had miraculously survived. He had been sitting on his mother's lap when a truck hit their car head-on, crushing the vehicle and most of its occupants. But the force of the crash threw open one of the doors and sent the baby flying out of the car; he landed on some bushes on the side of the road. Even more miraculous is that he was found at all. Apparently the rescue personnel who arrived at the scene didn't even realize there had been a baby in the car. It was only later that people came back to look and found Uri Leib crying in the bushes, having suffered only a few scratches. The six members of the Cohen family were buried the following day in a massive levaya [funeral]. It was the fifth day of Chanuka, and there stood the six tall vans of the Chevra Kadisha [burial society], as if representing the five lights of the day, plus the shamash. Because it was Chanuka, there were no hespedim [eulogies], but there wasn't a dry eye among the participants. Neighbors, friends and other members of the community prayed for the full recovery of little Uri Leib. They believed that this baby would indeed grow up and marry, and that the song “Ilan, Ilan,” would be sung at his wedding. Ashdod was in mourning. The Pittsburgher Rebbe had returned his holy soul to its Creator. He left behind a legacy of Torah and chessed [kindness] that had helped change the face of this port city, having touched the lives of so many who had been far from Torah. Among the mourners was young Uri Leib, only a few months shy of his Bar Mitzva. He had no knowledge of what had transpired at his bris, but as a member of the extended family of the Pittsburgher Rebbe, he felt deep sorrow at the passing of the great tzaddik. What happened to the niggun that Reb Ben Zion was supposed to sing at the boy's wedding? Indeed Reb Ben Zion would have loved to fulfill the Rebbe's command, but it had been years since the residents of Rosenheim Street had seen Uri Leib, who had been raised by his cousin, the Clevelander Rebbe in Ra’anana. His old neighbors, whom he had never known, had no way of finding out when or if he had married. But in an incredible ''coincidence," in a chance conversation with someone during what turned out to be the week of Uri Leib's Sheva Brachos [celebrations of the week following the wedding], Reb Ben Zion learned that he had gotten married a couple of days earlier, on…Tu B’Shvat! “Ilan, Ilan...'' The sound of the niggun at the baby's bris still echoed in Reb Ben Zion's ears. Suddenly, that elevated, inspired feeling that had enveloped all those who had attended that bris washed over him once again. He had to find the chasan [groom]! Some quick, pointed investigating finally got him the information he needed: the location of that night's Sheva Brachos. He arrived toward the end of the seudas mitzva, and asked for permission to address the guests. He then told them the entire story. [The author writes]: In memory of my classmate Yechiel Michel Cohen z”l, whose life was cut off at the age of 6, and the rest of his family. Printed in the 17 Shvat 5766 – Feb. 15, 2006 edition of the English HaModia weekly newspaper. Ilan was recorded on both the first and second Pittsburgh recordings. Also, Mordechai Ben David recorded this song on his Once Upon a Niggun album. Ilan was also recorded on Chasidishe Oitzros, Volume One, clip 9. 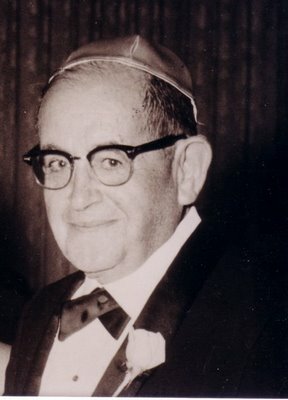 Today is also my grandfather, R. Yehuda ben Yitzchak's, yahrzeit. I was privileged to spend many Shabbos mornings in Shul with him in my youth. Besides being the father to my own father, his daughter, my aunt Norma, was a classical conductress, with much musical talent. Perhaps it came from him to her and eventually, a little bit of it to me as well! Thanks, Pop, for being such a wonderful grandfather! May his Neshama [soul] have an Aliya today! THE MUSICAL TALENTS OF THE "TIFERES SHLOMO"
Tonight, the 29th of Adar, is the yahrzeit of Rebbe Shlomo HaKohen Rabinowitz ZT"L of Radomsk, (1801 - 1866), author of one of the best-known classics of Chassidic literature, "Tiferes Shlomo." The Chassidic Dynasty of Radomsk in Poland has existed for over four generations. 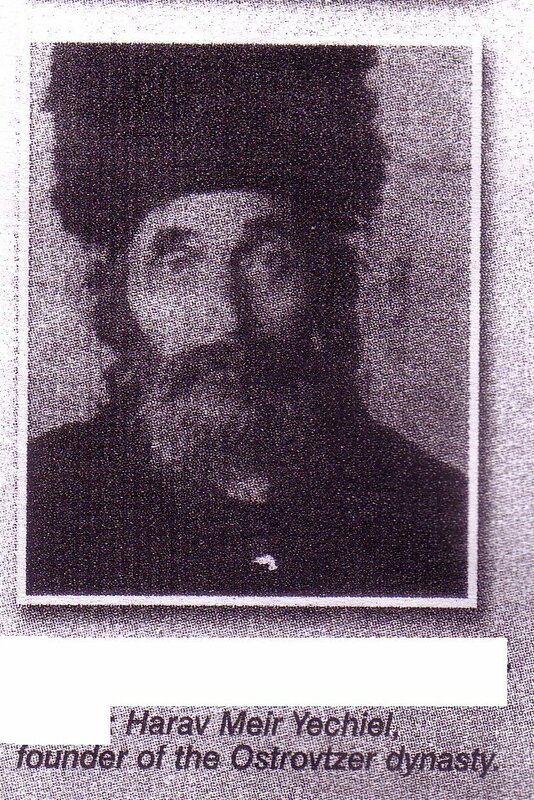 Rebbe Shlomo, its founder, became Rav of Radomsk in 1842. Many stories are told about him, including "I Remember Him from the Rebbe" – an amazing story of Rebbe Yechezkel of Kuzmir, Rebbe Shlomo HaKohen of Radomsk, the Rebbe Reb Elimelech of Lizhensk, the Chozeh of Lublin and the Yid HaKodesh. As a Chassid, Rebbe Shlomo HaKohen became a follower of Rabbi Meir of Apta, Rabbi Fishele of Strikov, and Rabbi Yehoshua of Pshedburz. He also went to Rebbe Yechezkel of Kuzmir, as the above story and the ones below indicate. In 1843 he was chosen as Rebbe of Radomsk, which developed under his dynamic leadership into a major center of Chassidus. With his moving sermons and uplifting niggunim, he attracted thousands of ardent followers. Rebbe Shlomo had a penchant for visiting the various tzaddikim of his generation on Shavuos. On a visit one Shavuos to the “Divrei Chaim” of Sanz, the Rebbe entreated him to daven before the Amud [to lead the prayers]. But it was one of the Tiferes Shlomo’s visits to Kuzmir on Shavuos which was truly a remarkable event, and earned him the reputation as a tzaddik who was bestowed with lofty talents for negina. Rebbe Yechezkel of Kuzmir sent a “delegation” of singers to Radomsk before the holiday, to learn the new niggunim that the Radomsker had prepared. Rebbe Yechezkel had a mechutan [one whose child was a spouse to the other’s child] named R. Emanuel, who was a gifted and experienced baal menagen and baal tefilla. He urged Rebbe Yechezkel to honor the Radomsker with leading the tefilla of Kabbalas Shabbos upon his arrival in Kuzmir. R. Emanuel knew that the Radomsker’s tefillos were powerful enough to move those who heard them to tears and to fervent emotions. 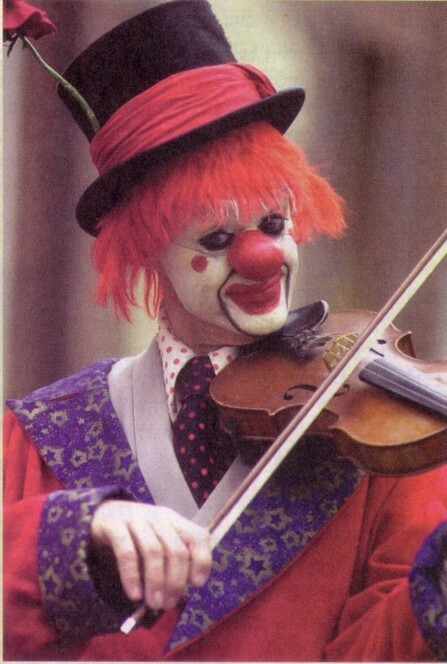 In his deep humility, the Radomsker began to daven simply, without revealing his true talents. Noticing this, R. Emanuel approached him and whispered, “Here they sing “A’anim Zemiros,” one of the concluding poetical prayers. With that, Rebbe Shlomo forsook his humble stance and sang “A’anim Zemiros” with such fervor that the Beis Medrash in Kuzmir was filled with light and joy. On the first day of the Yom Tov Shavuos, Rebbe Yechezkel honored the Radomsker with leading the Akdamus, the famous piyut [liturgical poem] recited before the reading of the Torah, which beautifully describes the Giving of the Torah. Rebbe Shlomo agreed, but only on condition that he would have a choir, properly prepared, singing with him. Indeed, he had an eighty-man choir next to him, which included Rebbe Yechezkel’s son, [later to be known as] Rebbe Shmuel Eliyahu of Zvolin. As they burst into song, with Rebbe Shlomo’s voice soaring above the others, it seemed like the very walls of the Shul, and its windows, were vibrating with the sound. That singing of the Akdamus, plus Rebbe Shlomo’s amazing dancing, were the “talk of the town” of Kuzmir for quite a while. From the great arousal of the Radomsker’s singing, Rebbe Yechezkel paced about the Beis Medrash and asked all of his Chassidim: “Have you ever seen or heard such a thing as this?” This was indeed an unforgettable Yom Tov in Kuzmir. From the Mountain to the People, is worth reading as well. Every year for the Yamim Noraim [High Holy Days] and Chagim [Festivals] the Tiferes Shlomo would sing new niggunim. He would not only sing his own niggunim, but also those of his Chassidim who composed for him. The Tiferes Shlomo also sent money to one of his Chassidim in Tzfas, Israel in order to organize a Radomsker “Shalosh Seudos” [third Shabbos meal] in Eretz Yisrael, where his niggunim would be sung each and every Shabbos. The tefillos of the Radomsker were with intense fervor, yet full of simcha [joy]. This form of Divine service took root amongst his Chassidim, and remained an integral part of Radomsker Chassidus. Many of the Radomsker’s niggunim are found on a recording entitled “Niggunei Radomsk,” sung by the chazan R. Chaim Adler. Featured are seventeen Radomsker niggunim, sung on Shabbos, from Kabbalas Shabbos through Shalosh Seudos. You can hear two of them, Shalom Aleichem and Kulam Ahuvim. We look forward to the release of more Radomsker niggunim in the near future! Zechuso yagein Aleinu v’al Kol Yisrael - May Rebbe Shlomo's merits protect us all! Yesterday, 23rd of Adar, was the yahrzeit of the Chiddushei HaRim, the first Gerer Rebbe, talmid of the Yid HaKodesh, Rebbe Simcha Bunim of Pshis'cha, and a talmid-chaver of Rebbe Menachem Mendel of Kotzk. 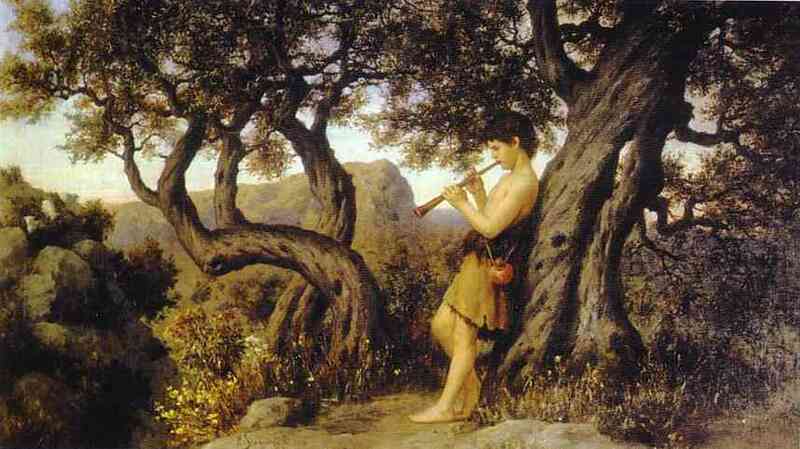 · Were I blessed with a sweet voice, I could sing you new hymns and songs every day; for with the daily rejuvenation of the world, new songs are created. · Our Sages relate that every day the angels called Chayos sing Shira with one of their wings, but on Shabbos, they have no more wings [since the prophet states that they have only six wings]. Hashem says to them, “I have one wing on Earth, called Knesses Yisrael [the Jewish People]. What does Shira have to do with the wings of angels? The Chiddushei HaRim says that Song uplifts a person, just as wing uplifts a bird or other winged creature, as the Arizal says. "The Shechina Sings in His Throat"
Today, 21 Adar, is the 219th yahrzeit of The Rebbe Reb Elimelech of Lizhensk, one of the main disciples of the Maggid of Mezritch, and, like his Rebbe, he became a “general of generals” in that many of the greatest Chassidic Rebbes of Poland, Galicia, Rumania and Hungary were amongst his talmidim. “It is told that before he died, Rebbe Elimelech bequeathed the sight of his eyes to the Chozeh of Lublin, the spirit of his heart to the Kozhnitzer Maggid, the soul of his mind to Rebbe Menachem Mendel of Riminov, and the power of speech to Rebbe Avraham Yehoshua Heshel of Apt. His disciples said, ‘Nowhere else than at Rebbe Elimelech’s can your hear a bit of truth.’ ” [Rabbi Aryeh Kaplan, Chasidic Masters, p. 55]. On the way from Radomsk to Lizhensk, Rebbe Shlomo would often pass through Krakow. 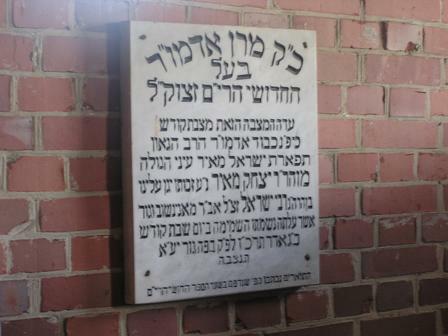 Despite the fact that many gedolim were known to be buried there, the Radomsker would not stop to pray at their gravesite – only at Lizhensk. He would say to those accompanying him: “If the Gaon, Rabbi Shlomo Kluger zt”l were still alive, he would surely ask me a very strong question: why is it that I go to pray at the gravesite of the Rebbe Reb Elimelech of Lizhensk, but not at the sites in Krakow? But I would answer him simply: [if one were to search] he wouldn’t find even one bone [in Krakow], for they have all ‘travelled’ to Eretz Yisrael. Rebbe Elimelech is unique, in that he prayed – effectively – that his bones remain in place, so that people could come and daven at his gravesite.” This was confirmed by the first Sochatchover Rebbe, the Avnei Nezer, in the sefer Abir HaRo’im. The Radomsker concluded by saying that those with eyes to see can see at the gravesite, the Rebbe Reb Elimelech standing up, garbed in tallis and tefillin, and davening for Klal Yisrael [the Jewish People].” [from this week’s parsha sheet, Alim L’Trufa]. In Likkutei Shoshanim, the Rebbe Reb Elimelech explains that a bed is a place for coupling, joining together. The Tzaddik [as represented by King David] can join worlds together through his Divine Service. King David had an additional ma’alah [virtue] – in his intense dveykus [attachment] to Hashem, he would sing to Hashem with song and praise. The Shechina, the Divine Presence, is referred to [in the Zohar] as “midnight”. The Ruach Tzfonis, literally, north wind, can be interpreted as the holy spirit [ruach] that was hidden [tzafon] in him – it would “blow” a power of dveykus into him, and “play by itself” – that is, as the verse [Tehillim, 47:7] says, “zamru Elokeinu [G-d sings]” and not “zamru L’Elokeinu [sing to G-d].” This means, says Rebbe Elimelech, that the tzaddik should sanctify himself until the Shechina is singing in his throat. Similarly, in another ma’amar in Likkutei Shoshana, Rebbe Elimelech says, “One must strengthen oneself greatly, so that the zemer [song] is as if the Shechina is singing in his throat. This is the meaning of the verse [Yeshayahu 12:5], ‘Zamru Hashem ki gei'us asa – Sing, O L-rd, for He has done lofty things.’ Again, the verse seemingly should have said, ‘Zamru LaShem’ sing to G-d. This indicates that the level of the singer should be as if Hashem Himself is singing – the Shechina is singing in his throat. Finally, this idea is echoed in the sefer Maor v’Shemesh, by Rebbe Klonymus Kalman of Krakow, a talmid of the Rebbe Reb Elimelech. He says that Rebbe Elimelech explains the verse [Tehillim 147:1], Halleluka ki tov zamra Elokeinu [Praise the L-rd, for G-d sings well], that it is as if Hashem Himself is the singer – for without the help from Above, a person could not even utter a single word. In the sefer Encyclopedia L’Chassidus, there are notes for a niggun for Tzur Mishelo* [sung on Friday nights – see also below]. Chabad has a special wordless niggun from him, which came to them through Rebbe Shloime Twerski zt”l of Hornesteipel-Denver. And finally, an album was issued [in the 1980s] called “V’Hashiv Lev Avos,” containing nine niggunim of the Rebbe Reb Elimelech’s. They are: V’sein B’libeinu, Mechalkeil Chaim, V’Hashiv Lev Avos, Niggun Dveykus, Eishes Chayil [Bnei Heichala], Niggun Rikud [Reb Melech’s Tantz Niggun], *Tzur Mishelo, Yedid Nefesh and Heyei im Pifiyos. Briefly, the Mechalkeil Chaim is a beautiful, deep niggun that lends itself wonderfully to the Yomim Noraim service. V’Hashiv is a very well-known tune, although it may not be known who authored it. The tune Eishes Chayil is sung in many Chassidic shtiblach for Bnei Heichala at Shalosh Seudos. The Tantz-Niggun Rikud is also quite well-known. (Note: I haven’t found samples of this album on the Net. If anyone does, please indicate the located by e-mail or in the Comments). Zechuso Yagein Aleinu v’al Kol Yisrael – May the Rebbe Reb Melech’s merit protect us all! THE LULLABY - a TRULY GREAT STORY! This is a really great story about one of the earliest niggunim of the Rebbe Reb Elimelech of Lizhensk, whose yahrzeit begins tonight. More tomorrow, IY"H'! Today is the 19th of Adar and the 78th yahrzeit of Rebbe Meir Yechiel HaLevi of Ostrovtza zt”l. Although he was not known for Negina, my wife’s family had a connection to him, so this is a personal tribute. Rebbe Meir Yechiel was a talmid of Rebbe Elimelech of Grodzisk zt''l, a scion of the Kozhnitzer dynasty [and father of the Piaseczno Rebbe zt”l]. Born to simple parents – his father was a bagel baker – he elevated himself to become one of the giants of the generation. After the petira [passing] of Rebbe Elimelech, many Chassidim accepted Rebbe Meir Yechiel as their Rebbe, and thus the Ostrovtza dynasty was born. The Ostrovtza Rebbe led a large yeshiva, which attracted the most preeminent talmidim of the pre-war Jewish world in Poland. Ostrovtza was one of two Chassidic courts in the country known for their yeshivas and phenomenal lomdim; the other was Sochatchov. The Rebbe maintained a non-stop schedule of delivering shiurim, seeing Chassidim, writing, and davening at length. Along with all of his intense activities, he practiced self-affliction, fasting for some forty to fifty consecutive years [it is said that he foresaw what would happen to European Jewry in the Second World War and fasted to try to prevent it]. In a certain assemblage of Chassidic Rebbes, each one shared a dvar Torah from one of his illustrious ancestors. For his part, Rebbe Meir Yechiel of Ostrovtza had simple parents, and his father was a baker. "My father," he said, "taught that fresh bread is better than stale bread." Then Rebbe Meir Yechiel said a dvar Torah of his own. When young Meir Yechiel was a small child, he would sit in the corner of the room while carefully watching his father who was engaged in his baking. “Meirl,” his father would say, “you should know: the tighter an oven is shut, the more heat it maintains.” He related that when he first became a Rav, he thought he had an ‘engine’ in his mouth – that he could conquer the world through speech. He later realized that his father’s saying was true – and kept a tight lid on his mouth, both in his speech and his eating. Amongst the many gedolim who traveled to Chortkov was the famed gaon and tzaddik, Rebbe Meir Yechiel of Ostrovza. Rebbe Meir Yechiel would tell over the following story which he had himself experienced. Normally every time Rebbe Meir Yechiel arrived in Chortkov he was straight away ushered into the Rebbe's room without any delay. On one occasion, Rebbe Meir Yechiel arrived in Chortkov, and the gabbai straight away informed the Rebbe of his presence. This time, however, the Rebbe sent back a message to Rebbe Meir Yechiel that he should wait. While he was waiting, Rebbe Meir Yechiel thought to himself, "No doubt I have sinned in some way and therefore the Rebbe doesn't want to see me before I have done teshuva," and with that he started to ponder to himself what it must have felt like to receive malkus – thirty-nine lashes as was dealt out in the times of the Beis HaMikdash to those who had committed serious aveiros (transgressions). While he was in the middle of his thoughts, the door suddenly opened and Rebbe Meir Yechiel was ushered into the Rebbe's room. After an introductory 'Shalom Aleichem,' the Rebbe said to him, "It is written in the Torah that a person who commits certain serious aveiros is to be given forty lashes, yet in practice Chazal instruct us to give only thirty-nine lashes. Why did Chazal deduct one of the lashes which had to be given? The reason is that a person must always realize that he can never do enough to fulfill his obligation to his Creator. If a person who committed an aveira would be given forty lashes he might think to himself that he is now totally innocent of any crime, for he has already received his due punishment. Chazal had pity on such a person who would transgress an aveira and was still capable of thinking that he is a tzaddik. Therefore they commanded to only give thirty-nine lashes, so that a person should realize that he still has to carry on doing teshuva, he can never do enough teshuva to atone for his sins." 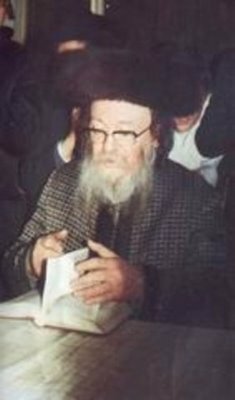 Rav Chaim Ozer Grodzinsky, the chief Dayan (judge) of the Vilna Beis Din, once met the famous Rebbe Meir Yechiel of Ostrovtza. Though the Ostrovtza Rebbe was an eminent scholar and a renowned tzaddik, he was still extremely humble. Rabbi Grodzinsky asked him to share some Torah thoughts but the Rebbe quietly demurred, saying he wasn't worthy. Rabbi Grodzinsky urged him. "They say you are a great man. I am sure you can tell me something." "Great man?" questioned the Rebbe. "I will tell you what a great man is." He quoted the Talmud in Makkos 22b that derives the power of the Sages from a verse in Devarim: "How foolish are those people who stand for the Sefer Torah (Torah scroll) but do not stand for the Rav. Aren't the Rabbis more powerful than the Torah itself? The Torah tells us (Devarim 25:3) that there are forty lashes to be meted in case of a serious transgression, yet the Sages interpret the verse so as to mete only thirty-nine. "The Talmud thus deduces the Rabbis have more power than the Torah. They therefore deserve at least as much -- if not more -- respect than the simple scroll." The Rebbe turned to Rabbi Grodzinsky and asked a cogent question. "There are quite a number of occasions where the Sages reinterpreted the text. They tell us to wear tefillin above our hairline, not between our eyes as the text seems to command. And the other phylactery is placed on our arm, not our hand, though strict textual reading would have us do so. "In fact, there is even an instance quite similar to the case of lashes. The Torah tells us to count fifty days of the Omer before celebrating the holiday of Shavuos. Yet, the Sages reinterpret the number fifty and tell us to count forty-nine. Why is that example not cited to show the power of the Sages? Is the ability to make a holiday one day earlier not a powerful enough attestation to the hegemony of the Sages?" The Ostrovtza Rebbe explained. "The power of the Talmudic Sages was not just in refining a seemingly literal translation. Their greatness lay in the ability to read the Torah that says to give forty lashes and through myriad proofs and interpolations mete one less lash. The greatness of the Sages stems not the just the power of deductive reasoning. That ability constantly appears throughout the Talmud. It is the power to make life one flog lighter for a simple Jew -- even a Jewish sinner about to get lashes. Rebbe Meir Yechiel turned to Rabbi Grodzinsky. "The greatness of a Torah leader is not to find more burdens for his followers, but to look for a way to lighten the existing ones. That is a great man." The Ostrovtzer’s Chassidim were astonished by his words. “Rebbe, what about your Torahs?” they asked. In his pure humility, the Ostrovtza Rebbe answered, “Nobody was aroused by my Torah. But from the Modzitzer Rebbe zt”l’s niggunim, everyone’s heart was aroused to teshuva [repentance]. In Tehillim [106:44], the verse says, “And He saw their distress, when he heard their Rina – exaltation.” This is strange – when someone’s in distress, we would expect him to cry. However, at the crossing of the Reed Sea, we are told that “the women followed her [Miriam] with drums and tambourines” [Shemos, 15:20]. Where did they get drums and tambourines in the desert? Our Sages say that the righteous women were so certain that Hashem would perform miracles for the Jewish People, that they prepared themselves with drums and tambourines. So therefore the verse which says, “And He saw their distress, when he heard their Rina – exaltation” can be explained: Hashem saw, that when the Jewish People were in the very midst of distress, He still heard their exultation and singing to Him, so He saved them. From here we learn that whenever a Jew is, G-d forbid, in a difficult situation, if he sings about his salvation which is to come, Hashem will help him. That was the Divrei Yisrael’s explanation. On the same verse, Rebbe Meir Yechiel said the following to someone who had come to him at a time of distress. At a time of distress, Hashem already hears the exaltation and song that will be sung to Him when the person is extricated. For this alone, Hashem will save him from his distress. Thus the verse can be interpreted: In what merit does Hashem see their distress, and save them? When he hears their exaltation and song that they will sing to Him upon being delivered, and with that He saves them! Zechuso Yagein Aleinu – May Rebbe Meir Yechiel’s merit protect us all! How can we forget R. Ben Zion Shenker's "Layehudim Haysa Ora"? [track 3]. A lively tune, and often imitated. Reb Shlomo Carlebach has an awesome "Layehudim" [track 10], on the first "Shlomo b'Ahava" recording. This tune is very danceable. A good friend of mine uses it for the Kaddish on Yamim Noraim, and we dance to it - seemingly endlessly - at the end of Neila on Yom K'Purim!!! Rav Michel Twerksi has a pretty one, track 5, or here, on the Beth Jehudah site. There's Belz – niggun Shoshanas Yaakov, done instrumentally, track 9. I have heard two other Belzer Shoshanas Yaakovs, so apparently there are quite a few, but unrecorded. Belz also has a niggun for Layehudim, found on an early tape [#5, Ashreinu], which appears to be out of circulation. Purim Tisch, 31 songs, released just a week ago! 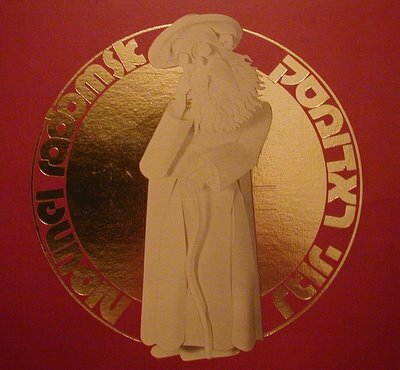 Arranged and conducted by the indefatigable Yosef Moshe Kahane of L'Chaim Productions, this album contains a rare collection of songs sung for Purim and otherwise in various Chassidic courts, as well as other popular Purim songs. Sung by the L'Chaim Adult Choir, and by the Camp Shalva Children's Choir, this album will inspire you on Purim and throughout the year. Produced by David Holstein, conducted and arranged by the renowned Amit Sofer, this Purim collection, contains many unforgettable Purim songs in three main medleys: Mishenechnas Medley, Layehudim Medley, and Horah Purim Medley. Featuring the singing of Srulik Hershtik, Rokdim Purim delves right into the special Purim atmosphere, and will serve as a great album, year after year. Songs: Mishenechnas Adar , Venahapoch Hu, Chayav Inish , Layehudim [4 - Meah Shearim, MBD, BZ Shenker], Revach Vehatzalah, Vegam Charvonah, Shoshanas Yaakov , Oy Oy Oy, Al Hanisim, Machoi Timcheh, Teshuasam Hayisa Lanetzach, At Haman. That's about it for now, a Freilich Shushan Purim to all!!! Of course, for me, Modzitz leads the way with their very famous Shoshanas Yaakov. A brief description, from the original liner notes: “The traditional Purim spirit of merriment and joviality dominate this delightful piece of music, composed by Rebbe Shaul in 1920. It reaches its highest point of mirth and satire towards the finale, where the words, “v’gam Charvona zachor latov [and may Charvona also be remembered for the good”] are recited both backwards and forwards. Actually, there are at least four Modzitzer Shoshanas Yaakovs. Besides the above famous one by Rebbe Shaul, there’s one by his son, the Imrei Aish, his grandson, the Rebbe Shlita, and one by Reb Ben Zion Shenker. Reb Shlomo Carlebach has many tunes for “Teshuasam Hayisa LaNetzach,” which is actually part of Shoshanas Yaakov. The first one is here, track 9. This next one, although it appears on his daughter’s album, was sung by Reb Shlomo alone. It’s also called the “Tenoyem Niggun,” track 9. The same tune can be heard here, sung by Yisroel Travis, track 9. Reb Shlomo also used to sing the Shoshanas to his Ata Echad, track 8. And he also composed a niggun to Utzu Eitza. Many of these were never officially recorded and thus are not so well known. Chabad has there share of Purim niggunim too. Here’s a Shoshanas Yaakov from the Chassidim of the Alter Rebbe; while here’s one from R. Shalom Charitonow, the Shochet of Nikolayev. And they also have a rare setting of the first verse of the Megilla, “Vayehi Bimei Achashverosh”. You can also see a vintage black-and-white video of Utzu Eitza sung at the Lubavitch Rebbe’s farbrenghen in 1971. I have even found a Breslov rendition of Shoshanas Yaakov by Yaacov Klein. 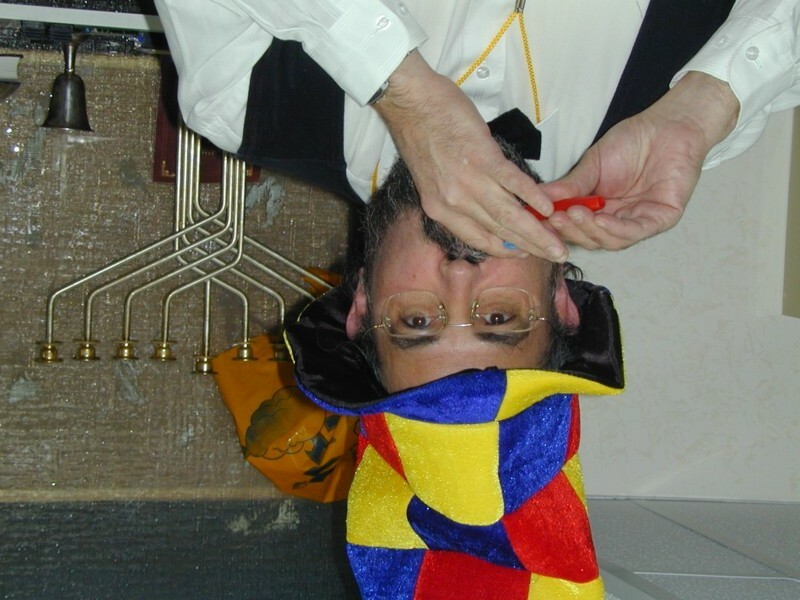 Check out Aish HaTorah’s Purim music page, which features Rebbe Alter and Pirchei Purim, courtesy of Galpaz, singing the traditional Mishenichnas, Shoshanas Yaakov, Chag Purim, Kacha Yayaseh, Al HaNissim, V’Nahafoch Hu, Layehudim Haysa Ora, U’Mordechai Yatza, Chayav Inish, and Utzu Eitza. and the famous Skulener niggun, LaYehudim Haysa Ora, which was recorded at a Chasuna in Adar of 1988. A very Freilich [joyous] Purim to all!!! Please send in more links, if you find them! Indeed, our entire Torah – Toras Moshe – is a Song, as the verse says [Devarim, 31:19], "V’ata kisvu lachem es haShira hazos, v’limda es Bnei Yisrael, sima b’fihem – And now, write this Song for yourselves, and teach it to the Jewish People, place it in their mouths [have them memorize it]." The Hallel [that we recite on Festivals, etc.] was [originally] recited by Moshe and the Jewish People when they stood at the [splitting of the] Sea. [Pesachim, 117a]. At the time of the Song of the Sea, Moshe was equal to all the Jewish People, and all the Jewish People were equal to Moshe… Moshe sang the [Song of the Sea] opposite all the Jewish People. [This is later explained:] Moshe would open the verse, the People would repeat it after him and complete it. Moshe would open, “I will sing to Hashem, for He is exalted,” and the People would continue, “the horse and the rider were cast into the Sea.” [Mechilta, on Shemos 15:1-2]. Finally, the Modzitzer Rebbe Shlita has a wonderful dvar Torah, from Parshas VaEs’chanan, about the prayers of Moshe that were sung. The sefer Pa’aneach Raza, brings a saying from the Baal Shem Tov that one should daven [pray] using song and melody. One can explain the secret of Moshe’s Song as follows: The Midrash Yalkut Shimoni [Shemos 241] asks, why does Moshe’s song begin with the word “Az” [then]? The Rebbe Shlita wants to know, what is the inner meaning of this fixing that took place at the Song of the Sea, to rectify the complaint against Hashem that Moshe had on his early entry to Pharaoh’s palace? He explains that Moshe’s mistake when he said, “from the time I came to Pharaoh,” was that he misunderstood Hashem’s intentions, and how He runs things. That is, the intensification of the subjugation to Egypt was a way of hastening the Redemption of the Jewish People. Moshe, however, did not realize this, so he complained, for he only saw the intensification of the subjugation, which seemed unending. Moshe rectified this at the Song of the Sea. For this Song was one of Praise for the ultimate Redemption at the end of days, as the commentaries say that “Az yashir” [will sing, future tense] is indicative of the future Redemption. So even though the present Redemption [at the Sea] would be followed by further subjugation, since this Redemption contained the seeds of the future Redemption at the end of days, and Moshe was already singing -- thus rectified his prior error. Zechuso Yagein Aleinu v’al Kol Yisrael – May Moshe Rabbeinu’s merit protect us all! The surprising and interesting thing about Chassidic music is that it could take foreign elements of the surrounding cultures and create a unique body of song with its own definite characteristics." With this in mind, I’d like to present the following story, adapted from R. Uri Kaploun’s translation of R. Shlomo Y. Zevin’s “Sippurei Chassidim,” known as “A Treasury of Chassidic Tales on the Torah” [ArtScroll, 1980]. This Shabbos, the 4th of Adar, is the yahrzeit of Rebbe Leib Sarahs; and next Tuesday, 7 Adar, is the yahrzeit of Rebbe Yitzchak Isaac of Kaliv. While Rebbe Leib Sarahs was in Russia, he sensed that in a certain town in Hungary, there was a lofty soul which had to be cultivated, in order to enable it to reach the level of spiritual growth which its source made potentially possible. He therefore told his wagon-driver to harness his horses in preparation for a long journey. The simple fellow knew from experience that when the Rebbe said ''a long journey," they would no doubt find that the distance was miraculously shortened for them. And so it was. The driver held the reins until they reached the outskirts of the town, where he handed them over to the Rebbe's charge, and dozed off. Just as in a dream one imagines towns and villages flying by before one's very eyes, so too he could half see the distance of the journey vanishing away before him. When their destination came in sight, the tzaddik roused him, and he resumed control of the reins. It was dawn when they reached the township they sought, and after morning prayers, the tzaddik went for a stroll in the nearby woods. There he saw a boy of about eight, whose lean frame was only half-clothed with rags and tatters, tending to a flock of geese. The tzaddik struck up a conversation with the little waif, and soon learned that he was the son of a poor widow, whose name he gave. The tzaddik immediately went to seek out the lonely woman and asked her to entrust him with her son. He promised to bring him up, and train him to be a respectable businessman. The widow consented. Before leaving, Rebbe Leib gave her a certain sum for her own sustenance, then set out with the boy for a long journey, to the house of Rebbe Shmelke of Nikolsburg. When at length they arrived, Rebbe Leib said to his host: “I have brought you a lofty soul whose source in heaven the Heichal HaShira v’Zimra [the Palace of Melody]; I hope that you will make of it [his soul] what it needs to become." And so the young lad grew up in the home of Rebbe Shmelke, and all the melodies and shepherd songs that he knew, he made holy. The books of Kabbalah explain that all the tunes in the world originate in the Heichal HaNegina in heaven. The Other Side - impurity - knows neither melodies, nor the taste of joy, since it is itself the source of melancholy. Only through the sin of Adam did certain stray sparks fall into the unholy domain of the Other Side, and the task of the tzaddik is to elevate those sparks of melody that have gone astray. Forest, O forest, how big you are! Rose, O Rose, how far you are! The rose would be nearer to me. Together, O Rose, we'd be. Exile, O Exile, how long you are! Shechina, O Shechina, how far You are! Then the Shechina would be closer to me. Together, O G-d, we’d be. That inspired gooseherd grew up to be a tzaddik celebrated as a sweet singer of Israel – Rebbe Yitzchak Isaac Taub, better known as the Rebbe of Kaliv. The above-mentioned niggun is sung by Kaliv Chassidim to this day, in Hungarian. If anyone has a link to it, please send an e-mail or Comment. 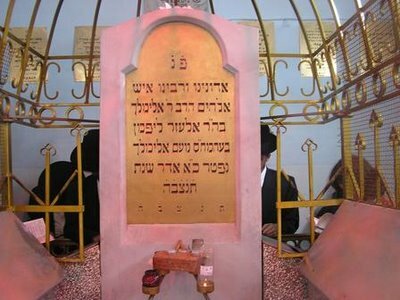 An 18-minute playlist of niggunim composed by Rebbe Yitzchak Isaac of Kaliv being sung at his grave in Kaliv, Hungary, can be found here. Or listen to a shorter link, a wedding dance tune, also composed by Rebbe Yitzchak Isaac of Kaliv.